Fashion Polish: one million pagesviews + blogaversary : one month of giveaways!!! one million pagesviews + blogaversary : one month of giveaways!!! Can you believe it? On December 6th, in one month from now, I will be a one year old blogger! I couldn't even begin to say how much all your emails, comments and tweets have meant to me, all the support you girls have showed me have been the most heart warming gift ever. So I guess that calls for celebration, right? I have decided to host a month of giveaways : each week I will be adding a new giveaway and you will be able to enter them one after the other. Week ONE : Kiko Giveaway! Have you tried Kiko nail polishes? If you haven't, now's your chance. I will use random.org to pick the winners on December 18th and they will have 48 hours to answer. Yay, congratulations!! You totally deserve it, you have one of the best blogs out there!! :) Btw, does sidebar count as a blog post? I'm never sure about that. Awesome and very generous idea of a month of giveaways! Thank you so much Ulmiel, you got me blushing. Yes of course, just copy a link to your blog. I already know and read it, duh! But it'll be easier to count your extra entry. Amazing giveaway! I already put in my entries! Can't wait! Praying to win these since i don't have any of Kiko yet! Wow! Congratulations girly! I'm a new follower but, from what I've seen, you totally deserve it! Wow, congratulations on both counts - well deserved, your blog is flawless! I enjoy reading it and drooling over your amazing photos and frankenpolishes. Congratulations! I love how much hard work you've put into your blog so your 1 million views are well earned! Congratulations! I'm new to your blog but follow it religiously. Where do you go to buy the Kiko polishes? They are gorgeous, and I'd like to buy some! congradulations!! your blog is amazeballs so im not surprised at all ;D thanks for the giveaway! Congrats! You have an awesome blog! Oh, wow! 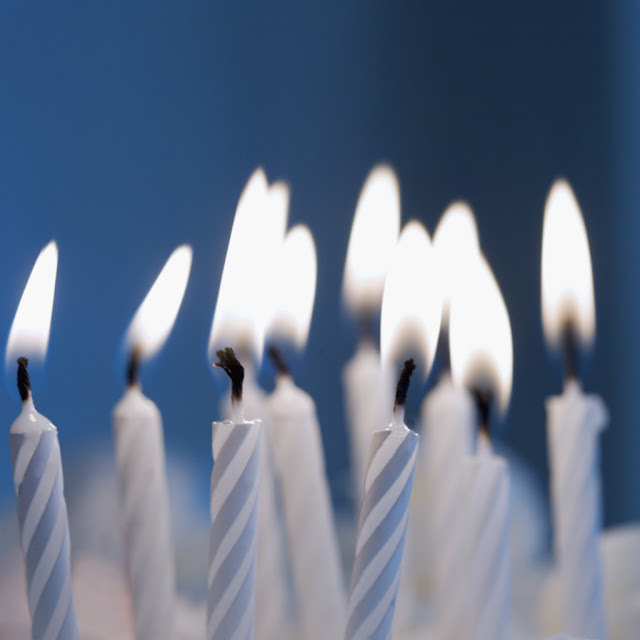 Congratulations on both - Blog Anniversary and over a million of views! 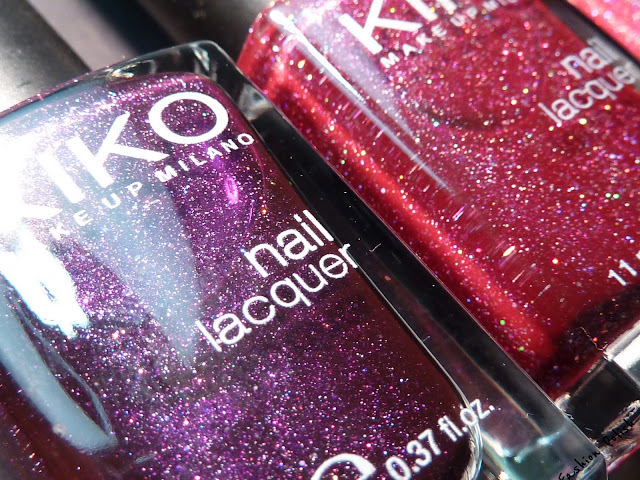 I'm drooling over the Kiko's I've been wanting to try that brand for ages now! Long time lurker, first time poster. Just wanted to congratulate my favourite blogger, keep up the amazing work :thumbsup! Long time lurker, first time poster (and offical follower :)). Just wanted to congratulate my favourite blogger, keep up the amazing work :thumbsup! I´m a follower since a few weeks, but I love your blog from the first sight. Your pictures are amazing and I´m allways happy to read new posts here. The giveaways are so cool and I´m happy that you open it internationally. Congrats on your first million pageviews!!! I'll skip this week giveaway, as I'm Italian and it would be unfair to partecipate for polishes I can easily find here (and other girls are really lemming)! BTW your pictures are always stunning!! Congrats on the anniversary and million hits!! You totally deserve it! your blog is awesome! I really love it! Congrats on your accomplishments and your blog. You are an amazing source to things under the realm of nail polish!!! Congratulations on the million pageviews! congrats!! :D and wow such a nicxe prize!!! The colors I'm dying for! hey Nikki, I got these in Germany last week when I went to visit my friends in Holland. 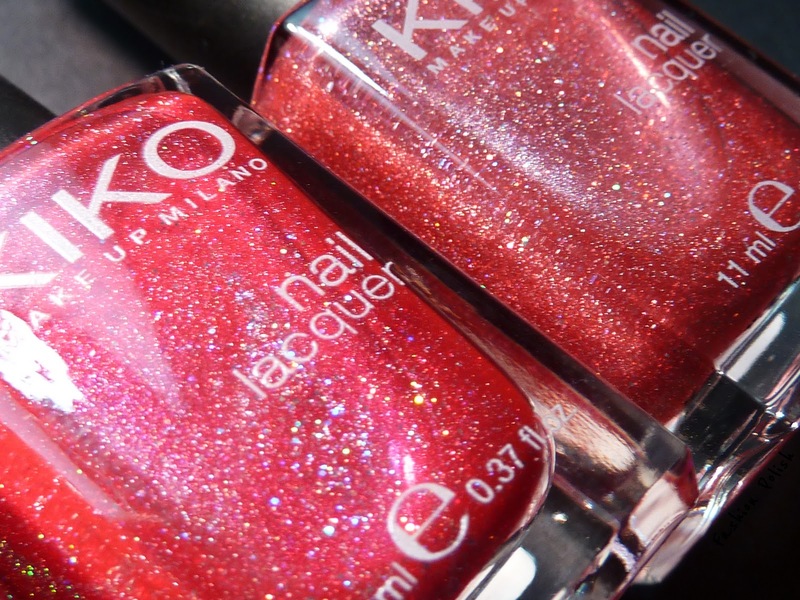 Kiko is an italian brand an they are expanding their market within Europe : Italy, Spain, Germany, France,.. OMG!!! I want them all!!! looks awesome. i'd love to try these colors! Congrats on the views and upcoming blogiversary! Love your blog so keep up the good work <3. Congratulations on this áwesome accomplishment, and as I type..... 30,000+ more and counting!!! CONGRATS! Its amazing when you get great feedback when doing something that we really love! Your blog is amazing! I'm hoping to win! Send a hi to Brazil! What an AMAZING giveaway, thanks for the opportunity! I'm Italian girl so I know it very better. Happy B-day to your beautiful blog! Congratulations! I hope I can learn how to take photos as good as yours someday! Perhaps I'm having a blonde moment, but what is a follower username? I can't figure out what mine would be. @Ali it's the username you use at Google Friend Connect. Yours should be "Ali" since that's what's written when I go to your Google Friend Connect profile. @FashionPolishOkay, I'll put that then. :) Thank you! And happy blogaversary! This is terrific! I love seeing your reviews and swatches and look forward to your future posts. Congratulations on hitting one milestone and being close to the other. I took my time to react, had a completely crazy week, but I really wanted to comment on that. First, congratulations on your upcoming Blogversary and on the crazy amount of visits you've received. It's more than deserved, your blog being one of the most beautiful out there, and clearly an example for the baby-bloggers like me. And gosh, only eleven months?? If I achieve one tenth of that in my first year, I'll consider myself happy and proud!! It's really amazing (and I had the same shock not long ago discovering that Ommorphia Beauty Bar was also barely a year old...) and you deserve some more congratulations for all this! Happy Bday and congratulations. Like most people here, I admire those wonderful colours and the pictures are really amazing. Happy to have discovered you! ça fait un moment que je n'étais pas passée par chez toi ! Félicitations pour le blog et joyeux anniversaire ! MErci pour ce giveaway, les kiko me font rêver, je croise les nongles ! Congrats on the milestone!! !1 I know you've made my nail polish desire a lot better with you here. 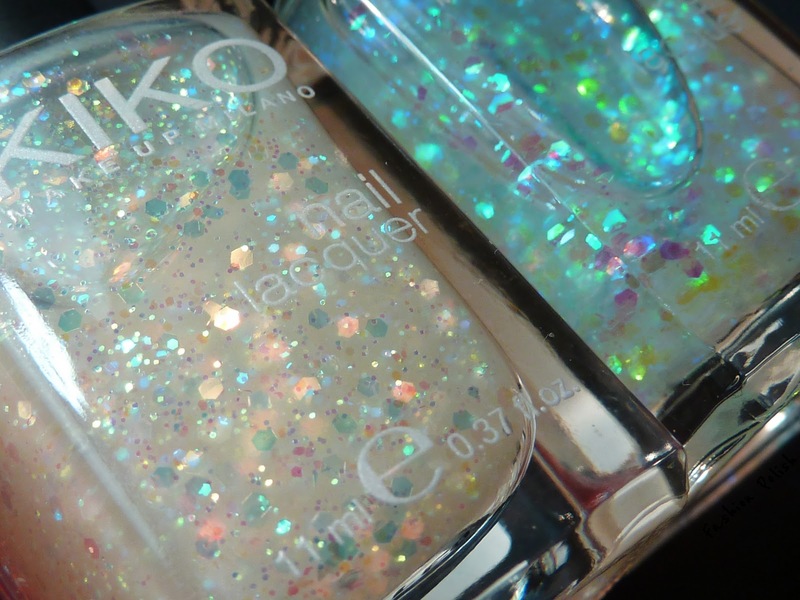 Don't own any Kiko so this would be wonderful!!! Wonderful article. I'm going through several these difficulties. congrtultion!! your blog is flawless! Wahou !!! 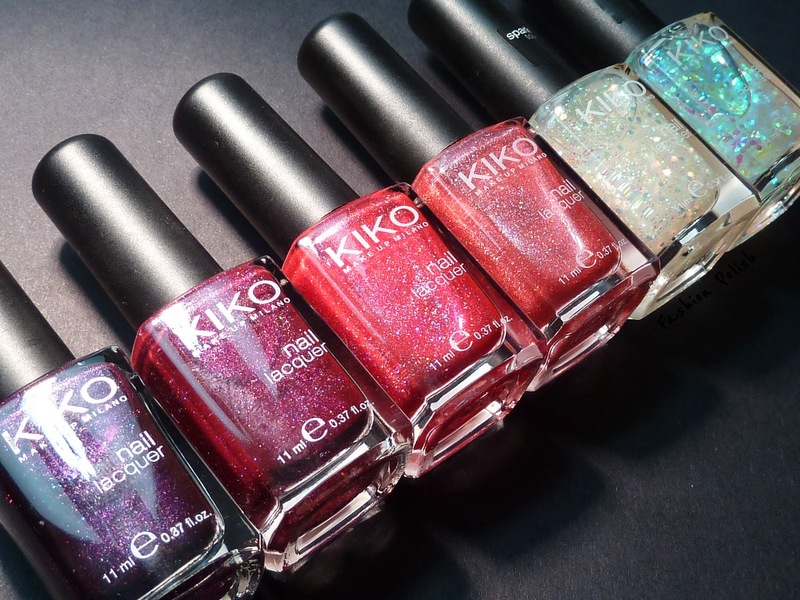 ces vernis sont tous superbes, je me suis inscrite. Félicitation pour ton blog !!! Thanks for the give away, those polishes are beautiful! Congrats!!! :))) And thank you for this lovely giveaway! Thank you really really appreciate it!!!! Congrats for your 1000000 page viewsssss!! Wow! I was following you via e-mail subscribe for about 2 or 3 months, but now decided to join and to try fortune! :) Thanks you for you posts, you're one of my favorite nail blogger, congrats and all the best!!! I'm so glad to see that a new blog is doing so well. I'm new to blogging and feel like all the major sites have been around forever. Your site is so awesome and gives me something to work towards!! Thanks for this amazing giveaway! Beautiful polishes! I somehow just stumbled on your blog, but you pics are AWESOME!! !